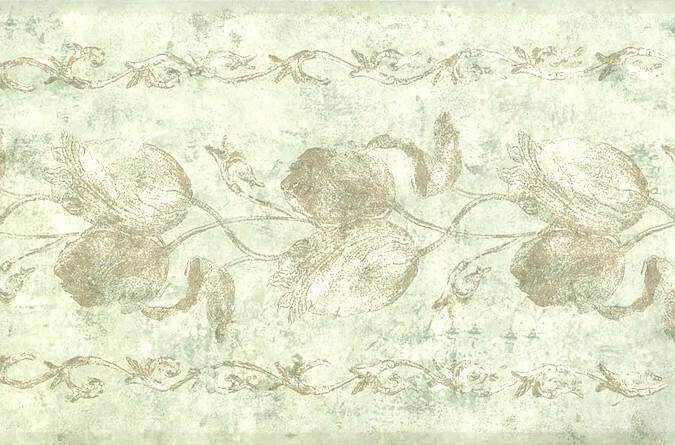 This is a vintage cream floral wallpaper border pattern with a contemporary flair. The very durable, textured, lightly embossed surface contains a vine and leaf pattern with tulip-like pods along the vines. The Green background has a faux finish which adds to the overall subtle drama of this pattern. 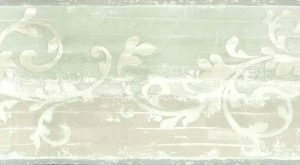 This tall border would make a great addition to a Dining Room, Bedroom or Sun Room.